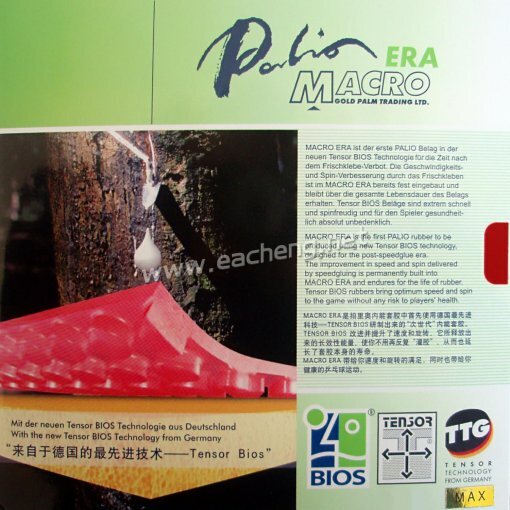 MACRO ERA is the first PALIO rubber to be produced using new Tensor BIOS technology, designed for the post-speedglue era. 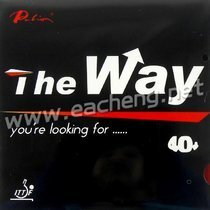 The improvement in speed and spin delivered by speedgluing is permanently built into MACRO ERA and endures for the life of rubber. Tensor BIOS rubbers bring optimum speed and spin to the game without any risk to players' health.